(1) The owner of any land on which excavation work is in progress or on which any building is being erected or demolished shall take precautions in the working area and on surrounding roads and footways to limit to a reasonable level the amount of dust arising from the work or surroundings thereof. Which section will I find limits on building days in the by laws? There is no heading referring to building regulations. 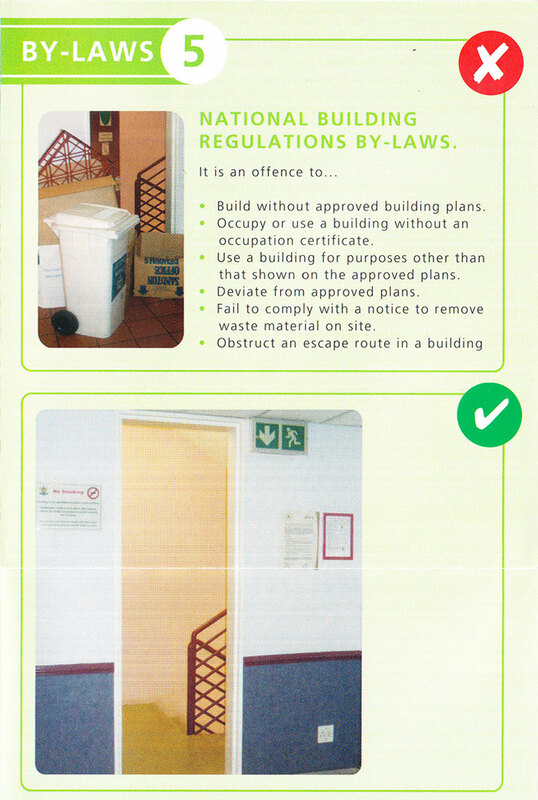 Failure to comply with the By-Laws of the City of Johannesburg may lead to prosecution and fines.